ARLINGTON, Va. – The Washington Capitals will wear a third jersey modeled after their 2011 Bridgestone NHL Winter Classic jersey for 16 select road games during the 2011-12 season, vice president and general manager George McPhee announced today. The primary color for the uniform is white and closely resembles the team’s original jersey, worn from 1974-75 through 1994-95. 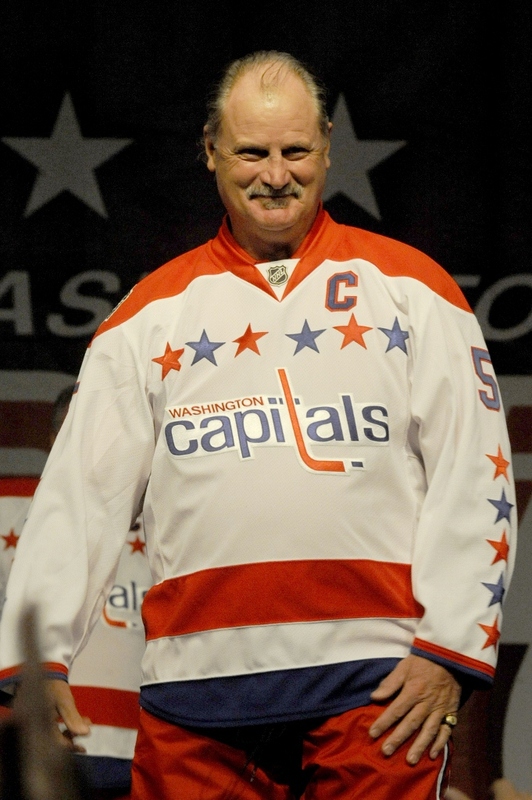 The original Capitals wordmark is featured on the front of the jersey with six stars above it and five stars beneath the numbers on each sleeve. The Capitals will wear red pants and white helmets with their new third jerseys. The jerseys are available online at shop.NHL.com and will be available at the 2011 Capitals Convention presented by GEICO and Kettler Capitals Iceplex starting Sept. 24. The Verizon Center Team Store will begin offering the new third jerseys at the first preseason home game on Monday, Sept. 26 vs. Columbus. Saturday, Nov. 26 at Buffalo Sabres 7 p.m.
Friday, Dec. 23 at New Jersey Devils 7 p.m.
Wednesday, Jan. 18 at Montreal Canadiens 7:30 p.m.
Friday, Jan. 20 at Carolina Hurricanes 7 p.m.
Sunday, Jan. 22 at Pittsburgh Penguins 3 p.m.
Saturday, Feb. 4 at Montreal Canadiens 2 p.m.
Sunday, Feb. 12 at New York Rangers 3 p.m.
Monday, Feb. 20 at Carolina Hurricanes 7:30 p.m.
Saturday, Feb. 25 at Toronto Maple Leafs 7 p.m.
Saturday, March 10 at Boston Bruins 1 p.m.
Friday, March 16 at Winnipeg Jets 8:30 p.m.
Sunday, March 18 at Chicago Blackhawks 6 p.m.
Monday, March 19 at Detroit Red Wings 7:30 p.m.
Thursday, March 22 at Philadelphia Flyers 7 p.m.
Monday, April 2 at Tampa Bay Lightning 7 p.m.
Saturday, April 7 at New York Rangers 3 p.m.
Former Washington Capitals captain Rod Langway displays the Capitals new third jersey at the 2010 Capitals Convention. Washington will wear their new third jersey at 16 select road games during the 2011-12 season.